If your teeth are crooked, it can be uncomfortable in many ways. Sometimes it can even affect a person’s self-esteem. At Johnston Road Dental, our White Rock dentist may recommend Invisalign aligners instead of typical metal braces for adults and teenagers. These are clear aligners that are custom-made for your bite and designed to gradually shift your teeth over a period of weeks. Once your teeth have shifted with one set of aligners, you move to the next set until your teeth are completely straightened. With Invisalign, you can straighten your teeth without having to dramatically alter your appearance. Your friends and family will likely not even be able to tell that you are wearing aligners. 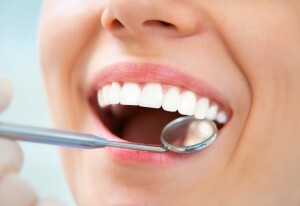 To schedule a consultation with our White Rock, BC dentists, call us now! For more detailed information about Invisalign, please visit www.Invisalign.com.